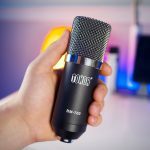 Floureon BM-800 Condenser Microphone Review - Is it Worth? Recently, I reviewed the Neewer NW-700 microphone. 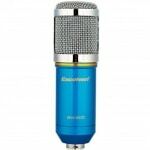 And similar to that one, there are several other considerable microphones available in the market. One such microphone is the Floureon BM-800 condenser microphone. It is one of the priorities in the context of mid-range quality microphones. But, should you buy it? Is it worth the money? Let’s see in this review. Floureon BM-800 microphone is a perfect package that ensures everything best from quality to price range. It is available in a very affordable budget, and is suitable to record clear and powerful audio. The condenser microphone prevents from disturbing background noise, and works on a broad frequency range. The complete package is flawless for the ones who are new to YouTube gaming and singing. The 3.5-meter microphone cable is long enough for an average room or studio. It is long lasting as well (given that your aim is not to damage it). 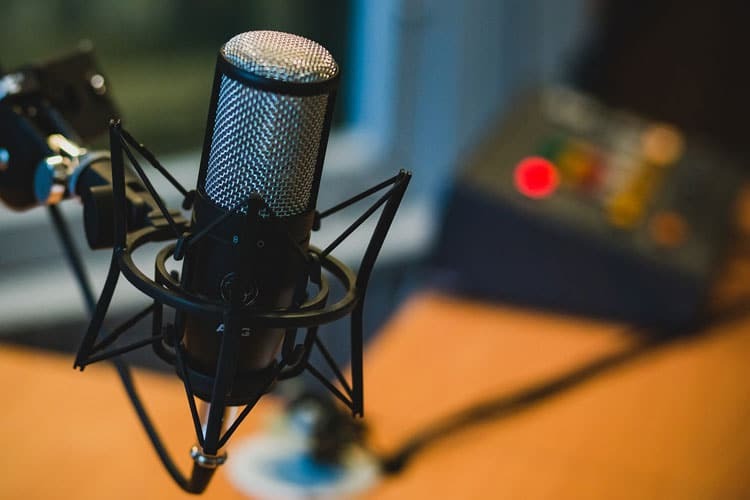 The whole package is perfect to start recording in studios, stage performances, voice-overs and a number of other purposes. The set up is adjustable according to the convenience of the recorder. Hence, the position doesn’t feel like a barrier. According to the testers, this microphone works fine with devices that can provide 5 V power, but for the best results, it requires a 48 V phantom power which is not included in the package. For more information about phantom power and other specification barriers look at Wikipedia. The recorder needs to connect it to a desktop computer or laptop as it doesn’t work well with mobile phones and tablets. There is no adjustable stand in the box, and hence it needs to be purchased separately. The microphone must be placed at a distance from the amplifier for a better and clear sound effect as it can collect noise from the amp. 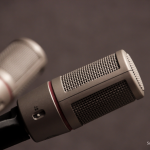 Being a cardioid condenser mic, it is unidirectional, which must be kept in mind while recording (P.S. Most of the mics are unidirectional). The first thing that makes it worth buying is its built-quality. The microphone is sturdy and possesses a long life. The steel net and holding hand (made of zinc alloy) make it look elegant in addition to durability. The microphone works over an extensive frequency range of 20 Hz to 20 KHz, making it possible for you to record smooth sound. 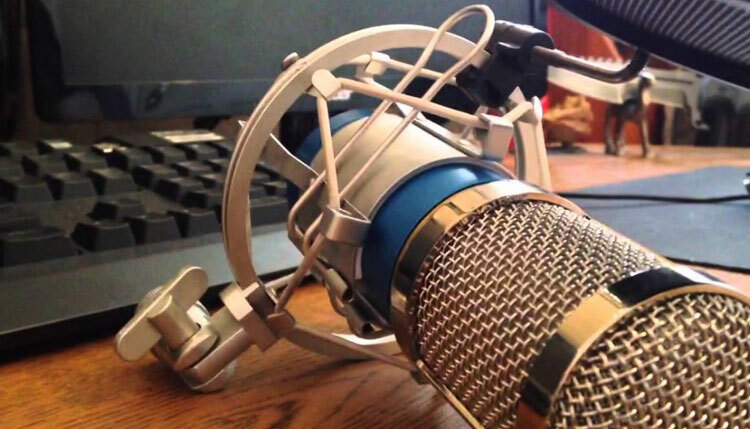 The shock mount with device features locking knob helps to adjust the angle of the microphone. Additionally, the shock mount makes it suitable for all the ideal microphone stands to mount it conveniently while recording. Anti-wind foam cap prevents wind and floor disturbances in your video and audio sounds. Also, it prevents the microphone from damage and disruptions due to the spit of the recorder. Numerous professional tester and day to day users have rated it excellent (despite the little requirements that cost you a bit extra). However, the price of the package is affordable even after purchasing all the additional elements, which makes it worth-a-buy microphone. Wrapping up, I would like to say that whether you are new to recording or you are a professional, the device is perfect to record smoothly. It is perfect to register at every place including indoors, outdoors, stages, studios, and many more. 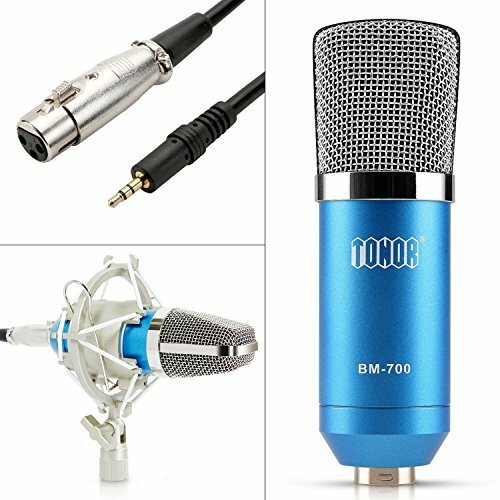 You can check BM 800 microphone price on amazon. A good power supply is all you need to record a clear sound. Not only the average day-to-day users but also a number of other professionals have given considerable review and rating to this product. However, you can’t understand the benefits before you use it and hence it is time to go for it and add a review. Let me know in the comments below if this Floureon BM 800 microphone review was useful. Also, would love to read your perspective on the review as well as the microphone. And, if you wish to purchase it, here you go (Buy on Amazon ). Until then, Goodbye!